Our wide range of services ensures that we can offer our customers a complete financial solution. As independent advisors, we can search the market for the most suitable and best value products specifically to match each client’s requirements. 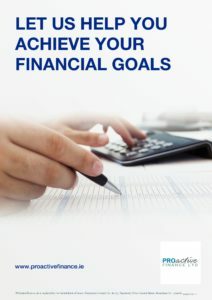 PROactive Finance provides a comprehensive financial planning service that will ensure you are adequately prepared for whatever the future may throw at you.